The world’s savviest, most experienced, and most trusted source for information on living, retiring, and investing overseas. I love a sale, and I'm never one to pass up a bargain, especially if the item is one that I've had my eye on for years. So I was thrilled to see, starting a few months ago, that Japan is on sale. Two years ago, the Japanese yen was trading at 85 to US$1. It has now stabilized at about 115 yen to US$1, meaning that, at last, Japan is an affordable country to visit for us dollar-holders. If this stability keeps up, I recommend planning a trip to coincide with the autumn colors. What is most striking is how different things are in Japan. This country bears little resemblance to China and is culturally different from other countries in Southeast Asia, a region where we spend a lot of time. If I had to make a comparison, I'd say that Japan is reminiscent of Singapore, though the climate is certainly different. Like Singapore, Japan is spotlessly clean. Buildings are freshly painted, yards are tidy, litter is nonexistent, and recycling containers are everywhere. Also as in Singapore, signs are posted everywhere reminding citizens to be neat, courteous, and orderly. The public transportation system is unbelievably efficient--another similarity with Singapore. This is the case not only in Tokyo, which has one of the most efficient mass transit networks in the world, but everywhere in Japan. Traveling from Tokyo to Kyoto, for example, is a simple matter of showing up at the railway station, buying a ticket, and hurrying to the platform to catch the next train, which always arrives on time and usually within moments. 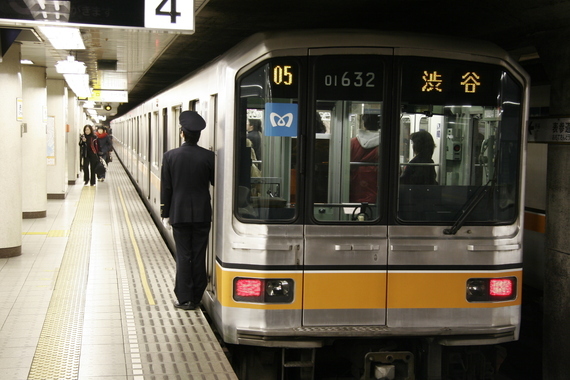 In Kyoto, subways and efficient city buses are waiting to take people onward. Among the several towns and cities in Japan this is a consistent experience. Public transportation is fast, efficient, clean, comfortable, and affordable. Japan, like Singapore, is quiet and orderly. People wait patiently at the crosswalks for the light to change before walking, and cars unfailingly yield to them. Horns are rarely heard. In fact, it is very unusual even to hear someone talking on a cellphone in public; public service signs are posted to discourage the practice, and most people made it a point to have their conversations in private. Like Singapore, Japan is a fully developed country. 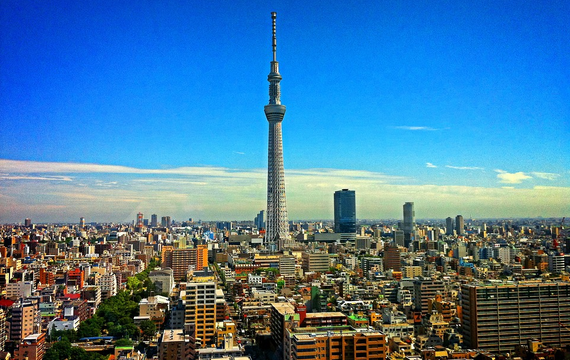 The vast majority of Japanese seem to live a comfortable, middle-class lifestyle. Though there is new construction going on throughout the cities, you don't often hear jackhammers or see dozens of cranes like you might expect. Men wearing suits and ties and smartly dressed women crowd the subways on their way to and from their jobs. Children dress in tidy uniforms filling the school playgrounds. It seems that nearly every city worker wears a uniform of some kind; even road crews dress in clean and pressed work clothes. As much as Japan reminds me of Singapore, it is vastly different in some ways. 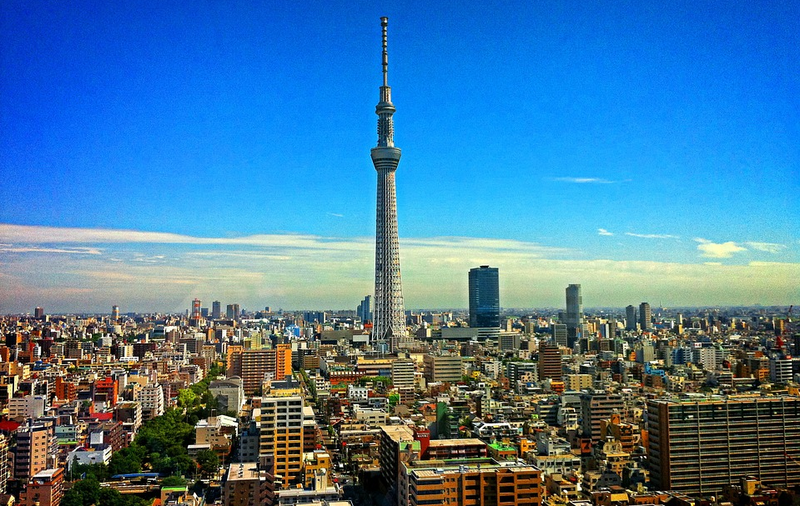 Outside Tokyo, the population density is far less than other places in Southeast Asia. You see a surprising amount of farmland, many single-family homes with yards, and lots of parks and open spaces. Expansive gardens, even in the largest cities, offer carefully sculpted trees, tranquil lakes, and well-tended pathways. For many, this was one of the joys of visiting Japan. It seems that every plant, every stone on the footpaths, and every rock was hand-picked and placed with great care and forethought, everything carefully designed to offer an atmosphere of serenity and tranquility. You may see a surprising number of traditionally dressed people in Japan. It is common to see people of both sexes wearing kimonos. 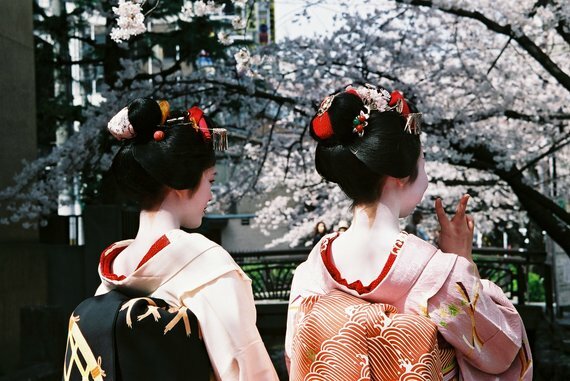 In Kyoto, there are geishas, beautifully adorned in full face makeup, ornate headdresses, and stunning costumes. At the Shinto temples, parents dress their young children in kimonos and give thanks to the gods for making them grow and be healthy. Rickshaws, powered by energetic young men in spotlessly clean traditional garb, take tourists down ancient Kyoto streets. Not everyone dresses traditionally, though. Tokyo might be the best place in the world for people-watching. A trip on the Tokyo metro might reveal an eclectic mix of cosplay girls dressed as fairies, Little Bo Peeps, or other fictional characters and young men wearing studded black leather jackets and Mohawk haircuts. Although there are many ancient temples and castles, little in Japan has not been rebuilt or extensively renovated. This is due to Japan's history of devastating earthquakes, floods, tsunamis, and fires. Few buildings on the main island of Honshu have survived these disasters untouched. Like Singapore, most of what you see is relatively new. Art is everywhere in Japan, from fantastic museums to public sculptures. Nowhere is art more apparent, though, than in the restaurants. Numerous dishes are served at every meal, carefully chosen to blend flavors with aesthetics. Sometimes you will have to wait a few minutes for your food to arrive while the chef takes care to prepare and arrange the plates precisely. 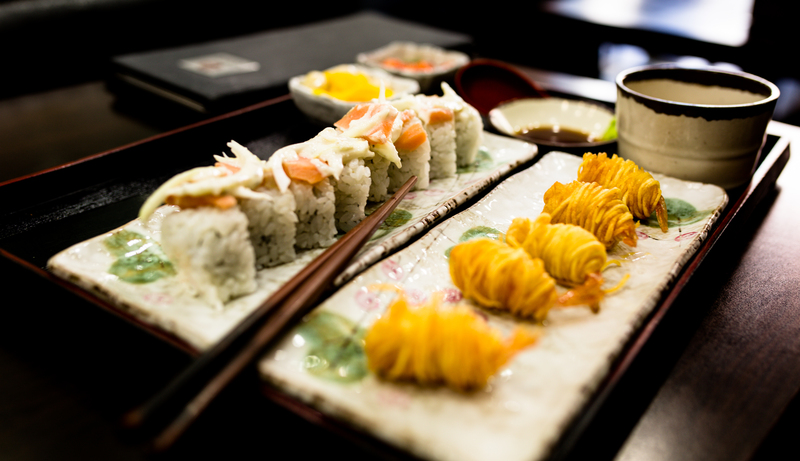 Singapore may have a more diverse cuisine, but it lacks the artistic presentation and creativity that you'll find in practically every Japanese restaurant. Although many Japanese, especially in the cities and at the tourist sites, speak some English, you'll find that English is not spoken nearly as much as in Singapore, where the majority of people are fluent. This shouldn't present too much of a problem, though. Many restaurants have plastic representations of their food displayed in the window. You simply take pictures of what you want to order and show them to the server, which should suffice. Unfortunately, Japan shares one more characteristic with Singapore. It is very difficult for foreigners to retire to Japan. Unless you are Japanese, married to a Japanese citizen, or are in Japan to work, run a business, or study, your visa expires in just three months, and it is difficult to extend without leaving the country, which is a relatively expensive proposition even at today's favorable currency rates. However, Japan is an immensely interesting and quirky country to visit and would be ideal as a part-time retirement destination. And, right now, it's all more affordable than it's been in a long time for those of us traveling with U.S. dollars in our wallets.